A Jewel thief named Frank Stone is a very deeply disturbed, anti social, milquetoast who finds no joy or humor in anything - until he awakens from a deep coma with a changed personality. 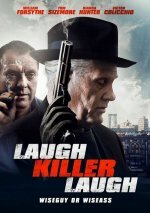 Laugh Killer Laugh release date was Friday, April 24, 2015. This was a Limited in theaters release.